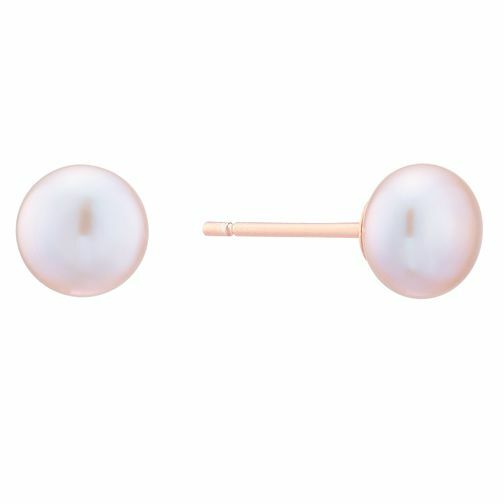 Add a grander piece to your jewellery collection with these beautiful 9ct rose gold pearl earrings, accented with a warmer colour hue to infuse more life into your styling. 9ct Rose Gold Cultured Freshwater Pink Pearl Earrings is rated 4.5 out of 5 by 4. Rated 3 out of 5 by Anonymous from Pearl earrings Beautiful rose gold pearl stud earrings, excellent value. Arrived quick delivery, Well made,well packaged product. Would highly recommend. Rated 5 out of 5 by Anonymous from Rose gold pink freshwater pearl earrings. Beautiful and classic earrings, a lovely pink blush colour that would compliment any outfit. Simple but stylish jewellery.